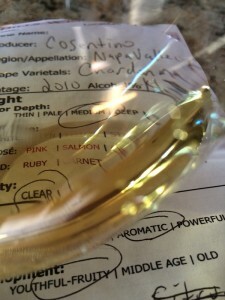 Last spring we had received our normal two bottle red reserve wine club shipment. In the shipment was a bottle of 2011 Vintners Red Blend. While trying the wine, it was quite clear it is not the same style wine that we have grown accustomed to over the years. Frankly we thought the wine was terrible! We were concerned the style of wine would change since Mitch was no longer the consulting wine maker, so we decided to write to the winery and cancel the membership that we had loved since 2007. A week later we received an email from the hospitality manager who was sad to see us leave. She decided to keep our membership open for the remaining year and not send us any wine. She was hoping we would come to the tasting room again and try some of the new wines coming out of Cosentino Winery. She was certain we would fall back in love with the wines and want to remain members. We do frequent Napa often so we accepted her offer and said we would see them soon. Many trips to Napa later Chris and I decided to schedule a tasting in the fall. During one of our trips we decided to stop by and visit the tasting room. We were greeted by Mark who we know and he asked if we would like to try some of the new wines. To our happy surprise the wines were the same style as Mitch’s. I also noticed they had a case sale of the 2010 Napa Valley Chardonnay. The case price was $144 with penny shipping. We ordered a case. I had a scheduled private tasting early October in the barrel room with Chris and another friend. The new wines showed the same style as Mitch’s. We were happy to see this. After the tasting was done we decided to continue our membership as long as we have the option to choose the wine. That was not going to be a problem. As we were leaving we were greeted by many Cosentino staff. 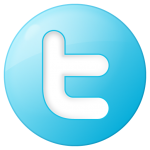 They expressed their gratitude and was happy we were going to remain members. It was a little odd, it was like a family reunion in the tasting room. Medium color depth with an amber hue. Very aromatic, youthful-fruity with aromas of peach, pear, apple, and creamy notes. Dry, medium-bodied, and just so slightly tart. The tannins were soft. 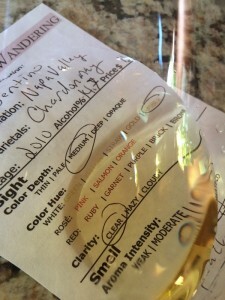 Tasting the Chardonnay I had bright crisp mid-palate flavors with a medium length finish. 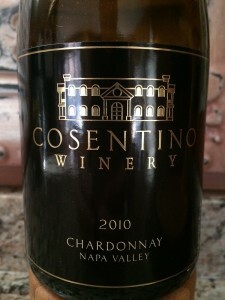 I rated the 2010 Cosentino Winery Chardonnay three glasses. We look forward to our case order which we get to pick the bottles next year.